What a love-fest at the Encinitas City Council last week! The City Council unanimously chose a diverse local group to rehab the buildings and run the arts center at our former Pacific View school. Closed since 2003, the city purchased the Pacific View property last year to provide a home to foster local arts. 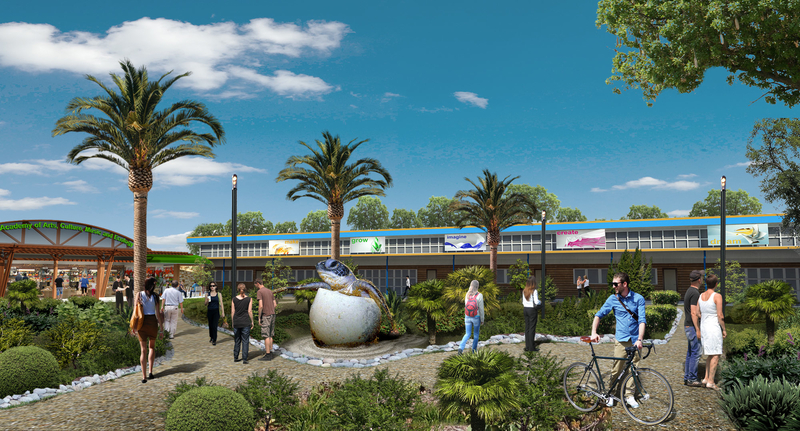 We chose the Encinitas Arts Culture and Ecology Alliance [EACEA] from five candidate proposals, including one from Radlab Designs and Sequoian Investments of San Diego, which had proposed an outdoor commercial, dining and entertainment venue. No one from that group showed up to speak, although we received opposition to that proposal from some neighbors because of the higher traffic and noise impacts associated with their proposed activities. The EACEA will transform six 1950s-era classrooms and a large outdoor space into arts workshops, teaching gardens and rehearsal area. They expect a moderate but consistent daily student and visitor flow at a complex that will be open to the public. An artistic impression of what Pacific View might become, based on EACEA’s winning proposal letter to the city. A scenario that involved local groups competing against each another was always a possibility, so I was impressed that everyone came together under the inclusive leadership of longtime Encinitas community and environmental advocate Garth Murphy. It’s a testament to our cohesive arts community that they could bridge different focus areas to unite behind their common desire for a local arts hub to call home. EACEA will now work together with the city to produce a viable business and financing plan and measurable objectives before returning to the City Council. More information from Save Pacific View is here, and the Coast News story is here. 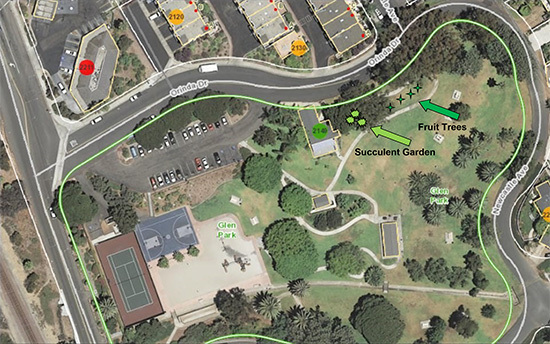 A unanimous City Council also supported three interrelated park items – accepting a donation from local nonprofits to establish a 10-to-15-tree fruit orchard in Glen Park and naming it the “Teresa Arballo Barth Fruit Grove” in honor of our former mayor and eight-year City Council member who often advocated for local agriculture efforts, such as the Encinitas Community Garden. And we voted to eliminate all pesticide use in Glen Park for a one-year trial period. I’m thrilled that the City of Encinitas is being proactive in addressing pesticide use at the local level, and that we’re adding fruit trees to a public park as an additional way for residents to appreciate and enjoy the bounty that is created by our local, natural environment. Naming the fruit grove after Teresa is a fitting tribute, and a reflection of the support she garnered during her years of public service for the environmental projects she championed. Thank you additionally to the generosity of Cardiff 101 and Healthy Day Partners for donating all the trees, irrigation, supplies, mulch and maintenance materials, along with the volunteer time to maintain the grove, for the first year. How generous! These groups’ interest in locally grown food is another demonstration of the importance and momentum behind the urban agriculture movement. 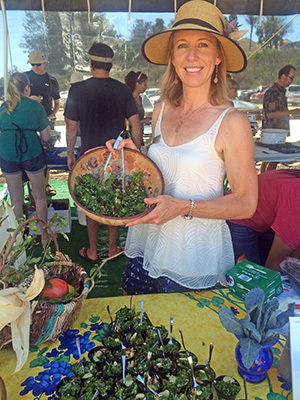 Yesterday I proudly accepted the “Best Salad” award for my “Organic Kale, Andean Quinoa, Dried Cranberries, Shredded Carrots, Champagne Vinegarette and Lima Bean Salad” at The Heritage Museum’s annual Lima Bean Festival. This was a delightful, homespun community event with an impressive number of delicious lima bean dishes and great atmosphere. For the sixth year in a row, Mayor Kristin Gaspar won the Championship Title, this year for her “Cinnabean Rolls,” a yummy, sweet dessert.